Thursday, October 11, 2018 at Westridge School, 6:00-7:30 p.m., 355 West State Street, Pasadena. Sunday, October 7, 2018 at Westside Neighborhood School, 1:00 p.m. For more information, click on Los Angeles Independent Schools. Wednesday, October 3, 2018, 6:30-8:30 p.m. at Campbell Hall School, 4533 Laurel Canyon Bl. North Hollywood, CA 91606. This event will feature 36 Los Angeles area private schools, grades 5th-10th. For more information, visit, www.losangelesindependentschools.org. Elementary School Admissions Directors Spring Kindergarten Fair, May 9, 2018, 6:30 p.m. at Campbell Hall School. 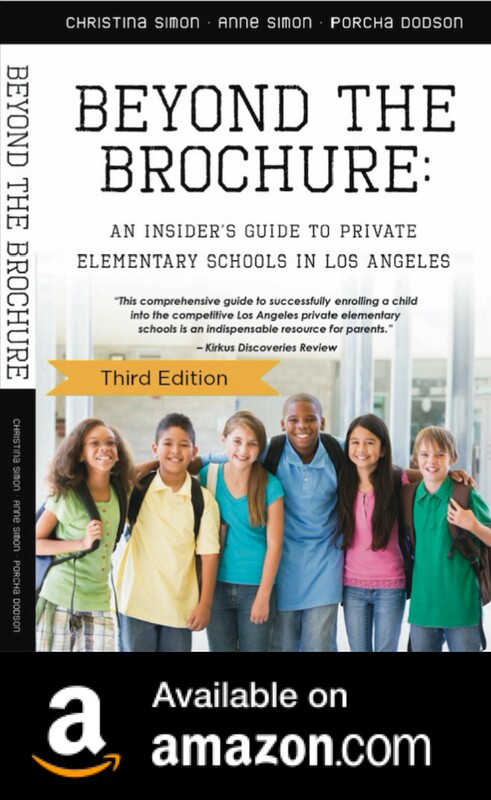 Click on Los Angeles Independent Schools for more information. Consortium of Secondary School Admissions Directors Spring Fair: April 25, 2018, 6:30 p.m. at Curtis School. Click here for more information. Pasadena Area Independent Schools: Kindergarten and Elementary School Options Night, October 12, 2017 at 6:00 p.m. at Westridge School. Curtis School will be hosting this year’s ESAD Fall 2017 Kindergarten Fair. LAIS hosts school fairs throughout the year, introducing families to many independent schools in and around Los Angeles. School fairs are for parents only. View this flyer for more information. The Westside Neighborhood School will be hosting this year’s CSSAD Fall 2017 Secondary School Fair for current 5th-10th grade parents interested in an independent school for the 2018-19 school year. LAIS hosts school fairs throughout the year, introducing families to many independent schools in and around Los Angeles. View this flyer for more information. Save The Date: April 26, 2016. Secondary School Fair at Curtis School. Evening event. More details to follow. Save The Date: May 10, 2017, Kindergarten Fair at Willows. Evening event. More details to follow. Join us! Academic Achievers is hosting a Free Private School Admissions Event on Sat., April 22 at 9:30 a.m. Refreshments will be served. Students will take a Free ISEE Diagnostic Assessment while parents participate in an information and Q&A session with top Private School Consultant, Lisa Marfisi. Lisa has been a professional in education in Los Angeles since 1991. She was the Director of Admissions K-12 at Wildwood School and PK-6 at Echo Horizon School. She also worked at the Archer School for Girls, PS #1, and Westside Neighborhood School. Lisa’s experience has given her an understanding of what schools are looking for and enables her to help parents navigate the admissions process from an insider’s point of view. Lisa has been helping families with the admission process as a Director of Admission for 14 years. She is a former steering committee member of ESAD (Elementary School Admission Directors). Click HERE to sign up. April 25, 2017, 7:00 p.m. at Beverly Hills Presbyterian Preschool. Parents Education League, Kindergarten Admissions Director Panel. Click on Parents Education League to sign up. May 3, 2017, 7:00- 9:00 p.m. at West Hollywood Library, Parents Education League Secondary Schools Admissions Directors Panel. Click on Parents Education League to sign up. Beth Hillel Day School will be hosting this year’s ESAD Fall 2016 Kindergarten Fair. LAAIS hosts school fairs throughout the year, introducing families to many independent schools in and around Los Angeles. School fairs are for parents only. 6:30 pm – 8:00 pm. For more information, click on LAAIS. Parents Education League is hosting a Westside Preschool Admissions Panel (Oct. 5, 2015) and an Eastside Preschool Admissions Panel (Oct. 28, 2015). Thanks for all you do. You guys are the best! I will be at the Willows book event and at the Betsy Brown Braun event. I will be at the Book Fair…stop by and say hi if you can! Thank you for the great session on October 1st. I was able to learn so much and was just happy to finally meet you in person. I can’t recommend your book and blog enough. It’s been a great starting point for my family. Still have a long way to go but it’s great to know there is a generally a light at the end of the tunnel! I was planning on attending this event and something has come up. Is there any way I can gather the information on the schools attending and other vital information I should want to know about from this event? Or an email address of a contact I can reach out to for follow-up? Thanks! And so sorry to miss it! I don’t know of a way to get the information from the event after its over. All the admissions directors/staff from the schools come to the event, but after that you might have to contact each school directly. Or, try the website for LAAIS listed on the event flyer. Darn it, we missed the Sept. 14th Los Angeles Private Kindergarten event! Any other ones coming up? There’s going to be an event Tuesday night, Oct. 11th. I’m going to be speaking about navigating private kindergarten admissions. It will be at Brentwood Presbyterian Church Preschool at 6: 30 p.m. I’m just about to post it on the blog. We have a few spots left and it’s free!